As a popular choice with fleet, company car and business drivers, it comes as no surprise that BMW has deemed it necessary to produce a high-economy version of the D-segment 3 Series. Featuring a detuned diesel engine and stop-start technology, it joins the ranks of super-economical rep cars. It may be getting on in years, but the current generation 3 Series is showing no signs of flagging. Some rivals are only now catching up with its cutting edge design and the comprehensive range of petrol and diesel engine options continue to stand up well in a competitive sector. 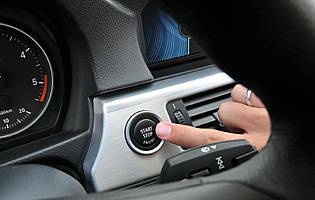 A new addition to that range is a detuned version of the 2.0-litre diesel unit. 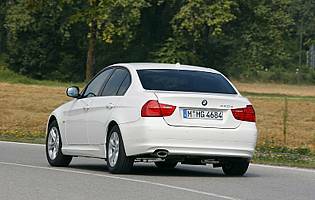 Producing 116bhp it is designed to offer improved fuel economy for high-mileage drivers. 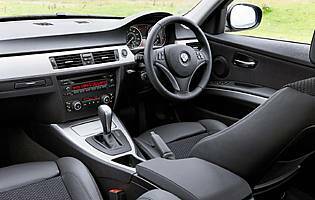 The unit has been combined with six-speed manual gearbox featuring a long top gear, low rolling resistance tyres and a stop-start system to shut the engine down when at a standstill. The resulting package has been employed in a base specification ES model called the 316d, and offers outstanding real world fuel economy. 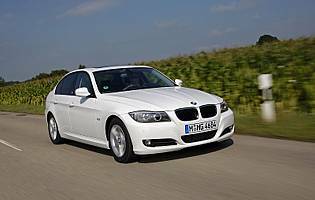 The saloon model features the same practical four-door body as elsewhere in the 3 Series range, making it a tempting proposition for company car drivers and fleet managers. Inside, the ES specification is basic but not short on equipment with air-con and leather additions included in the neatly styled and attractive interior. Outside, 16-inch alloy wheels and foglights are standard. The key elements of sophisticated interior and exterior design, neat handling chassis and excellent build quality are all present and the new element of high efficiency sits well with them. With excellent real world fuel economy, smart looks and great road manners, the 316d is a desirable model even in base ES specification.